The fourth case I selected to write about is Shawn Lucas. Lucas was found dead on his bathroom floor. He had just served the DNC with a lawsuit. On August 2, 2016, Lucas was found dead on his bathroom floor by his girlfriend, weeks after he had posted a video of him serving the lawsuit on the DNC at its Washington, DC headquarters. Shawn Lucas helped serve the Democratic National Committee with a lawsuit alleging fraud in the presidential race. Lucas was one of several process servers and was captured on video serving the lawsuit. The lawsuit was filed on June 28 by Bernie Sanders supporters against the DNC and then DNC chairwoman Debbie Wasserman Schultz. In June of 2016, attorneys Jared Beck and Elizabeth Beck of law firm Beck and Lee filed a class action lawsuit against the DNC and former chairwoman Debbie Wasserman Schultz. The suit claims that the DNC showed demonstrable favoritism towards Hillary Clinton in the Democratic primary, and failed to secure the data of DNC donors. Jared Beck told Disobedient Media that Lucas would have served as a federal witness to rebut the defendant's contention that process was incorrectly served. This would have included a sworn declaration from Lucas. Beck has stated that the video footage of Lucas serving process had been introduced as evidence in the case in his stead, due to his unexpected death. Jared Beck stated that Seth Rich would have been a potential witness as well. Attorney Bruce Spiva argued in defense of the DNC during an April 25th hearing on the case: "There's no right to not have your candidate disadvantaged or have another candidate advantaged. There's no contractual obligation here,” Spiva included that the party had the right to select its candidate in any way it chooses and was "not bound by pledges of fairness." Spiva's defense effectively admits the DNC primary process was rigged but argues that this was not illegal. Jared Beck told US Uncut that, based on Article 5, Section 4 of the DNC charter which explicitly requires the chair of the DNC to remain impartial during the primary, he believed their suit would prove successful. The New York Times reported that the DNC leaks that formed the impetus for the DNC lawsuit had suggested Debbie Wasserman Schultz and other officials "favored Hillary Clinton over Mr. Sanders." The DNC leaks have also raised serious questions regarding DNC funding methods. Disobedient Media spoke with Jared Beck, who said, "There's another aspect to this case that deals with why information leaked into the public domain, and that's also part of this very intense mystery… that a lot of us are very concerned about right now." If the Becks gain the right to discovery on the origin of the DNC documents, the mystery around Seth Rich possibly leaking the information might be resolved. If Rich did leak the DNC emails to Wikileaks, the 'Russian hacking' theory would be completely negated. The Becks provided Disobedient Media with copies of their communications with Washington D.C. police that include discussion regarding the body cameras worn by police as well as Shawn Lucas' death report. Lucas' cause of death was described by the Office of Chief Medical Examiner of Washington D.C as "Combined adverse effects of fentanyl, cyclobenzaprine, and mitragynine," with the manner of death listed as "accident." Cyclobenzaprine is a muscle relaxant. Mitragynine is the main component in the herb Kratom. The drugs found in Lucas' body are not usually found in combination. Cyclobenzaprine is a muscle relaxant, which also causes drowsiness. Fentanyl is a deadly opiate more powerful than heroin, used by heroin addicts as the next step in obtaining the "high" they seek. Although heroin is sometimes laced with fentanyl, causing many deaths, it is not common to find fentanyl and cyclobenzaprine used together. According to drug interaction information websites, they are dangerous when mixed, and may induce coma or death. Mitragynine is a very mild opiate. "He was found on his bathroom floor, with a mix of 3 different drugs in his body, the death has been ruled an accident by the DC coroner but to my knowledge no real investigation has been done into what exactly happened, here he was a young man, by accounts I've heard he wasn't a drug user, and he was very healthy…"
"We hired a process serving company in the Washington DC area…and the process server turned out to be a young man named Shawn Lucas…The DNC's lawyers made an appearance in the case and their first motion to dismiss was based on the claim that Shawn Lucas had not served process correctly….we were a basically in the process of reaching out to Shawn's process firm in DC to get an affidavit from him to counter the DNC's allegations in their motion, when we learned through social media that he had suddenly died." In internet discussions regarding the accidental cause of death, it has been said that the combination of a muscle relaxant and a more deadly drug is similar to the protocol used in lethal injections for death row prisoners. "Before hired, our process servers receive an extensive background check followed by a training program designed to put each of our employees in the best position to exceed client standards." Lucas was a martial artist who traveled to Brazil numerous times to study Jujutsu. In his interview with Tim Black, Beck admits to being somewhat fearful himself, given the strange pattern of deaths of persons with affiliations with, or in contention, with the DNC. Beck mentions the case of Seth Rich, the employee of the DNC who is thought by some to be the source of leaked DNC emails published by Wikileaks. The emails prove that many of the plaintiffs' allegations in the DNC lawsuit were correct. The DNC was committed to seeing Hillary Clinton as the Democratic nominee for president regardless of Bernie Sanders extreme popularity. And the death toll just keeps rising. So obvious that these deaths are not coincidences. The corruption in our government runs deep and will probably never be fixed. Great article. I do not believe in this many coincidences. Too many deaths surrounding the Clintons. I had not heard of this one. What is the count now 55-60? Yes Lexy. This murder was another forewarning to others that would dare be so public in exposing The Clinton crime family to scrutiny. Also since this man was not a known abuser of drugs it would have been an easy way to kill him while ruining whatever legacy he may have had with his friends and family. Rock solid reporting!! How many people does she have out there lying and killing for her? It’s Unfathomable how many deaths turn up that have ties to Hillary. Speechless. Lexy, you better watch YOUR back now! They are just knocking them off like they're nothing… And walking away. This is so UNACCEPTABLE! 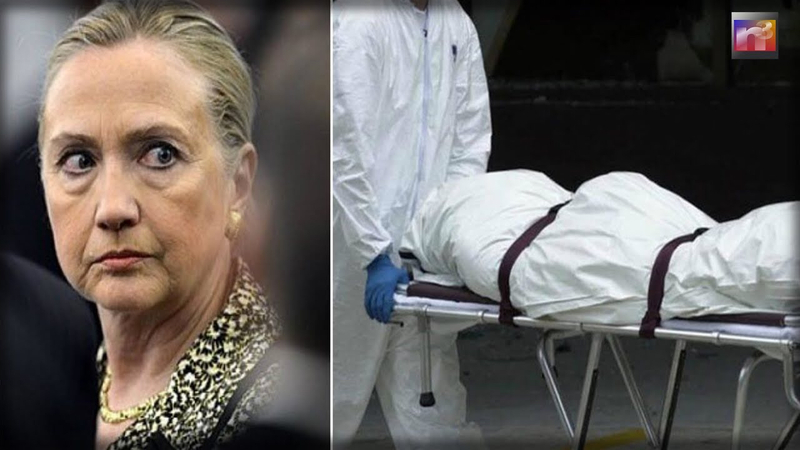 About time something was done about the Killtons….Some of there own medicine may be ……..
Everytime I read about a death associated in the least way with Hillary, I automatically assume it is not a coincidence and is more of the frightening attacks by HRC and group. In fact, it seems as if her minions are copying and even more people have been found dead. The killers do a very good job of intimidating their foes. When will this end? Clearly, the Clinton Cartel is not to be messed with or “accidents” just coincidentally happen. Sickening that the public seems to accept the published version of these “accidental” events. We are doomed.. I think the Clinton's and some others in DNC (Podesta) are behind these peoples deaths. To many and very strange. A healthy guy into martial arts. Isn' t going to OD on fentanyl. Where did he obtain straight fentanyl? Please. Just like people with 2 bullet wounds called suicide. No body camera footage from Seth Rich either. We know he wasn't robbed. All of these so suspicios. When will Hillary face Justice? ?